The Neck and Back Clinics Northeast location provides care to patients suffering from car accident injuries in Northeast Las Vegas. We offer a variety of services including chiropractic care, massage therapy, decompression and rehabilitation to help you with your injury-related pain. If you are suffering from whiplash or other auto-accident related injury, give your chiropractor in Northeast Las Vegas a call at (702) 644.3333. The Neck and Back Clinics’ Northeast location treats auto accident injury, workplace injury and personal injury patients. We help auto accident injury patients get back on their feet and live pain-free lives. Whether your pain is due to whiplash or a herniated disc, our chiropractors on North Lamb Blvd. are here to help. They put decades of experience naturally managing pain to work for you! 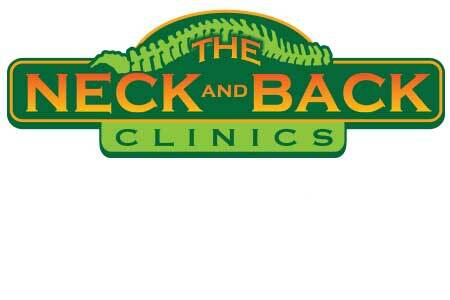 The Neck and Back Clinics Northeast clinic is conveniently located at 2425 North Lamb Blvd., on the corner of N. Lamb Blvd. and E. Cary Ave. This convenient location and our flexible hours make it easy for patients to visit our clinic before or after work, during a lunch break or while out running errands. Our goal with every patient is to provide high quality care that is convenient and accessible. Auto accident injuries, including whiplash pain, can cause health problems for years to come after the injury. Chronic neck pain, back pain and headaches can prevent patients from living an active life, compromising work performance and personal happiness. If your health is suffering due to an untreated whiplash injury, our chiropractic team may help naturally manage your pain. Chiropractic adjustments are an effective treatment technique that addresses the underlying cause of pain. Our adjustments restore proper alignment to the spine and naturally support whole body health. Our Northeast Las Vegas chiropractic team understands how challenging chronic and acute pain can be for any individual. That’s why our Neck and Back Clinics Northeast practice offers comprehensive drug-free pain treatments, including chiropractic care, physiotherapy, decompression therapy and massage therapy. Even better, these different treatment techniques are all available in one easy-to-access location. Our chiropractic care team is fully experienced treating patients for auto injury pain, workplace injury pain and personal injury pain. By integrating a variety of different treatment techniques, our Northeast office provides patients with effective, drug-free pain management. If you are new to chiropractic care, it is natural to wonder whether these different treatments are right for your pain management needs. The Neck and Back Clinics has experience treating patients from all over Las Vegas, including right here in the Northeast. Our advanced diagnostic techniques help identify the underlying cause for your injury. Our chiropractic care and complementary therapies bring alignment back to the body and relieve pain. Our Northeast chiropractic team is always happy to discuss these different treatment techniques with prospective patients – simply give our Northeast clinic a call! If you have been in a wreck, our message is simple: get checked by our chiropractic team! Prompt care is the best way to minimize pain and support whole body health. To learn more about our auto accident injury and pain management treatments, contact the Neck and Back Clinics Northeast today at (702) 644-3333.